Abbeville Storage Bench, White | Great Little Trading Co. 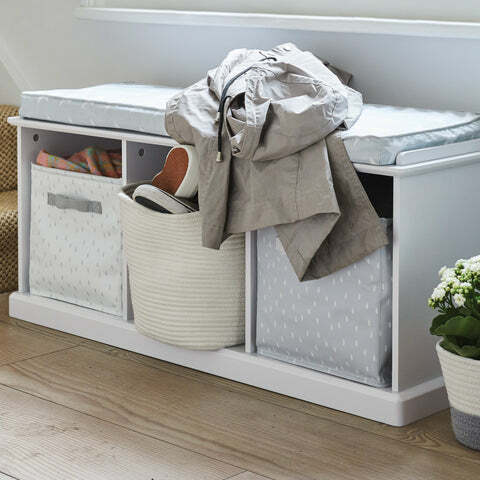 This gorgeous storage bench is a super versatile piece; it's great for hallways, kitchens and family spaces. 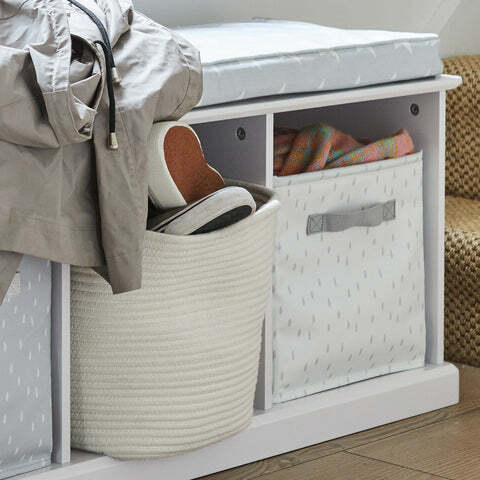 Team it up with the Natural Seat Pad for family spaces, or the Grey Star Seat Pad for children's rooms. Thanks to top quality materials and a wobble-free design this bench will stay the distance, even if you want to move it from room to room. 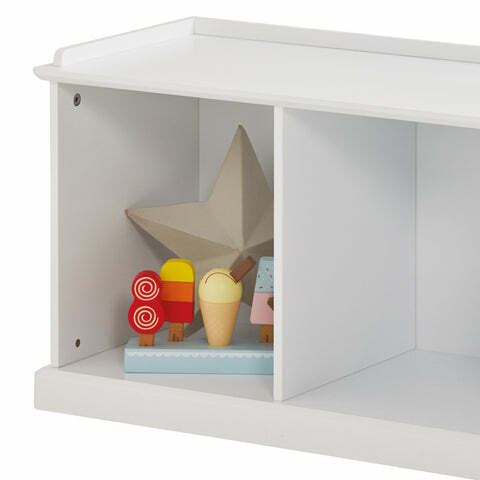 It's made from thick MDF with a steadying plinth and a sturdy back panel, then painted with a durable, Bright White finish.